In a new report from the Wall Street Journal, Amazon is indeed working to launch a new Echo device, complete with a 7″ touchscreen. According to the report, Amazon could unveil the new Echo as early as Tuesday (May 9), followed by a launch early next month. Reported to launch with a price exceeding $200 (no word on exact pricing), the new Echo with touchscreen will display answers in a digestible fashion, such as weather forecasts and stock-related questions. Not only will there be a UI for things like playing music and checking the latest headlines, the new Echo is reported to support internet-based telephone calls, letting it act just like a home phone. 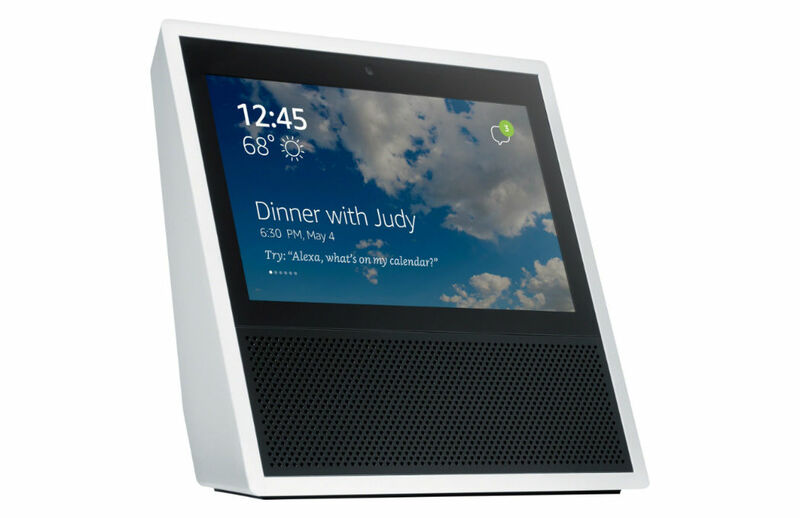 According to people familiar with Amazon’s plans, the company intends to announce, “a broader rollout of telephone services for Echo devices within the next few weeks,” separately from the new Echo’s unveiling. These services could include a intercom-like service, allowing multiple Echo devices to link to each other in the same home. At this time, details are scarce, but it is reported features such as this will roll out in stages. Guess we might see the new Echo tomorrow. Are you interested?